Wreck of blockade runner, Sullivans Island, S.C.
Blockade runners became increasingly sophisticated, taking advantage of the latest technological innovations to achieve maximum speed. For Confederates, the blockade--combined with shortsighted Confederate policies of self-reliance--slowed time and cut off communication with the world of nations, damaging Confederate transatlantic ties and claims of modern progress. 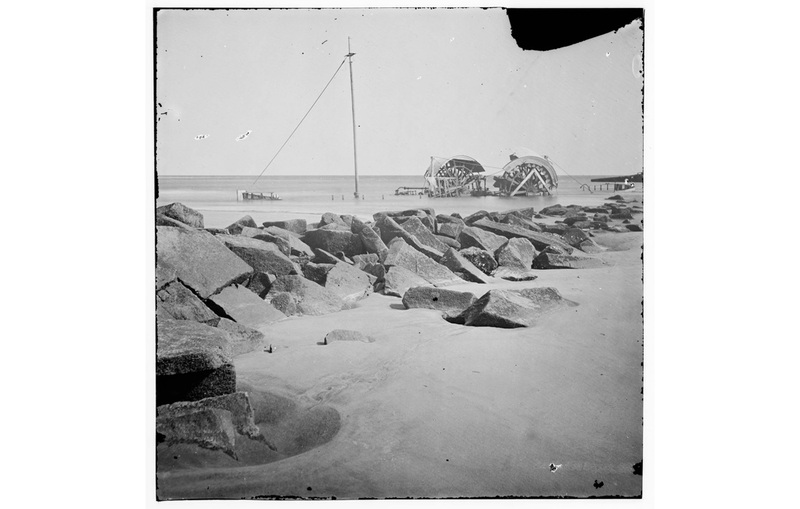 Source: Wreck of blockade runner, Sullivan?s Island, S.C. Publisher: Library of Congress Prints and Photographs Division Washington, D.C.